On Saturday night, I had dinner with the Vision Health Volunteers. Below is a picture of our core exec team minus our VP Internal, Sena. From left to right: Alyssa, Kushal, Rachel, Misaki, Sharmain, and me! I can’t thank this crew enough for all their hard work and dedication to our club throughout the year. 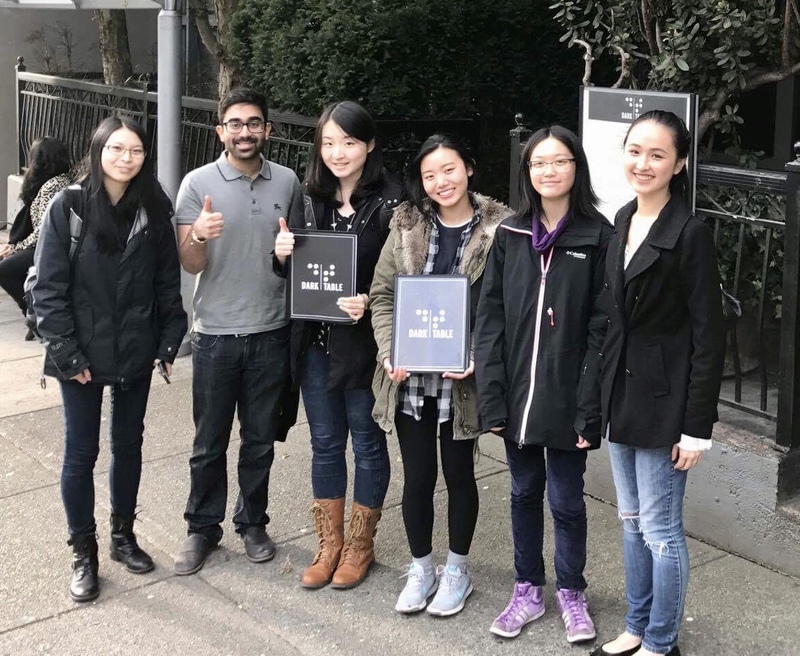 We recruited a sizable number of UBC students to volunteer with the Canadian National Institute of the Blind – and CNIB says our club members have been fantastic volunteers. Yay keep up the positive representation of VHV and UBC! 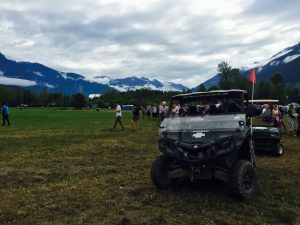 We got to connect with other charities such as Connectra, VocalEye, Aquafit for All and Third World Eye Society. We consulted with members of the UBC Disabled Students Association to understand the needs of UBC students with disabilities. – We hope to implement some solutions in 2017/2018! We achieved full status this year through approval by the Alma Mater Society. We founded this club in the 2015/2016 year and had provisional club status until we could prove that there are other students interested in our club and that we can contribute positively to the students community to gain full club status. We’ve wrapped up for 2016/2017 but we have plans for bigger and better projects in the 2017/2018 year. We always love to hear more ideas from you about programs, events, etc that you want to see so please send us an email at visionhealthvolunteers(at)gmail.com. I follow a lot of blogs myself and learned from one of my favourites, Franish written soon to be OB/GYN resident woohoo, that if you click on the pretty pictures of my outfit, the blog might earn a few cents for clicks. I don’t know if this actually works but will you give me an E for effort? Are you passionate about giving back to your community as a leader? Passionate about vision and health? Interested in connecting with the community of the blind and visually impaired? If you said yes to any of the above, apply to be an executive of Vision Health Volunteers and join us organize fun awareness events and fundraisers to make a positive impact! Join us in giving what we can to make a positive impact! Musicians! Do you enjoy performing for others? Love knowing that you brought a smile to someone’s face? Want to help create opportunities for others to share their love for music? MUSIC OUTREACH SOCIETY is currently hiring School Heads and National Outreach Directors for the year of 2016-2017. My experiences with Music Outreach have honestly changed my life and I hope that you’ll give Music Outreach a chance to positively change your life too. We watched Beauty and the Beast live at Theatre Under the Stars with audio description. Then we had a backstage tactile tour when we got to touch different costumes and props and the set. 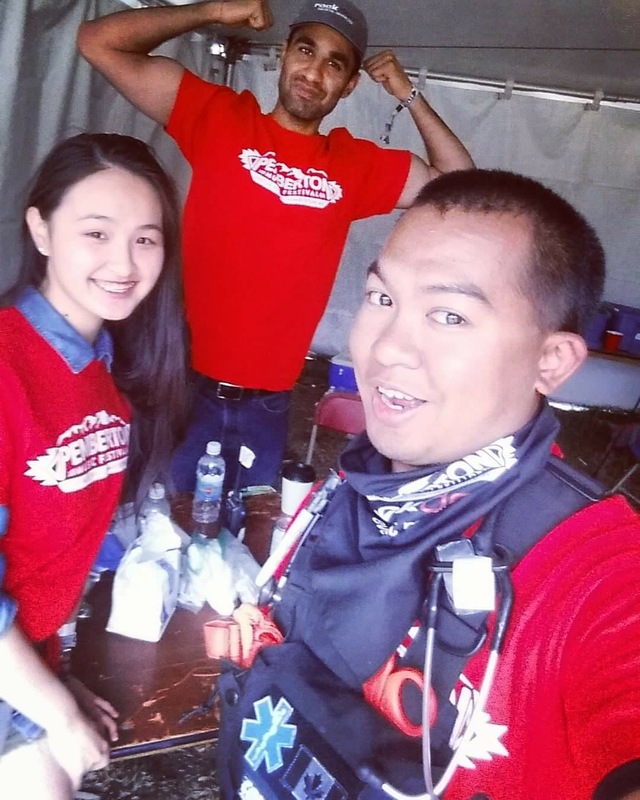 Always a pleasure to volunteer with the VocalEye patrons and team. Click more to see pictures! 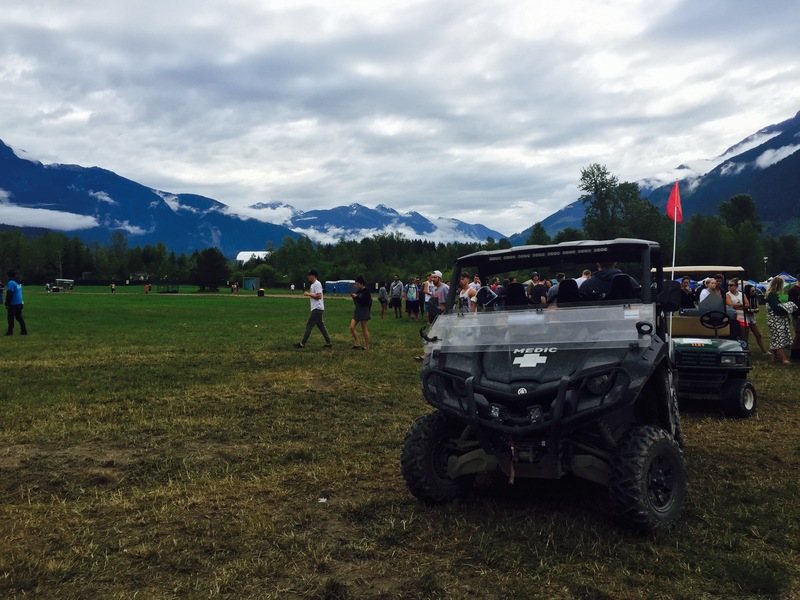 I learned an incredible amount at Pemberton Music festival thanks to the many learning opportunities that arose and those who kindly were willing to teach such as Martin. (Thanks Martin!!!). stay calm when someone runs in yelling that someone is dying while you get a call that someone is bleeding severely but oh you already have a semi conscious patient here in the tent. You’ll be jittery at beginning but as your shift goes on, you’ll surprise yourself by being calmer that you knew you could be. Try to help someone else who is terrified get more comfortable- this is a skill that is not as easy as you may think it is! deal with nasty attitudes . Terrible truth you need to know: a patient or a patient’s friend, surprisingly most likely another female, will tell you that you’re not qualified to serve as medical volunteer but the male staff next to you looks more qualified. You will answer politely with a smiling face and internally rationalize that this could be a tactic to get the cute male staff to help them. Help people who need help but insist that they are okay. That’s a strategy to this. Work together with a team of health professionals that gave differing opinions on how to treat the same things and have differing attitudes towards communicating with patients. Take what you think is good from others but it’s okay to do what you think is best when it’s the right time to do so. Struggle with self-doubt towards your own knowledge and skills. It’s not always sunshine an d smiles. It gets hard and it gets scary in some cases. I liked what I was doing so much that I volunteered over at Main Medical once my shift at Camp Central was over. I got to meet new faces, re-connect with volunteers that I’ve met at previous volunteer gigs, chat with people while eating the delicious food at staff catering, and listen to great music. I got introduced to the Chainsmokers whose songs I now like so much. The ball has bells inside it and players use the sound of the bell to track it position and movement. 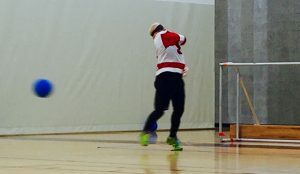 Goalball athletes throw the ball that across the court into the opponents goal, and use their bodies to block the ball from going in their own net. It was created as a means of assisting the rehabilitation of visually impaired WWII veterans. What is something unique about goalball? 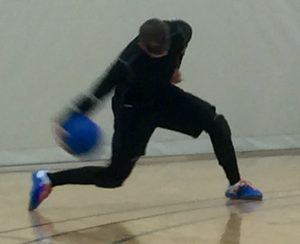 Goalball spectators must be silent so players can hear the bells in the ball. However, during breaks and when a a goal is scored, you cheer to your heart’s content. 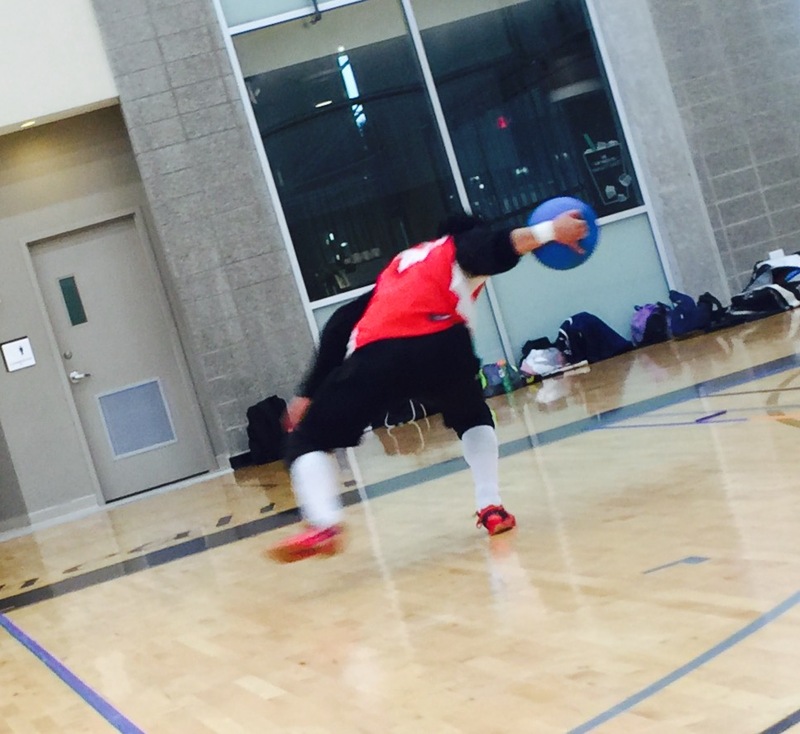 Is goalball a Paralympic sport? Yes! Tune in a Rio 2016 Paralympic goalball game this September and cheer on our national team! 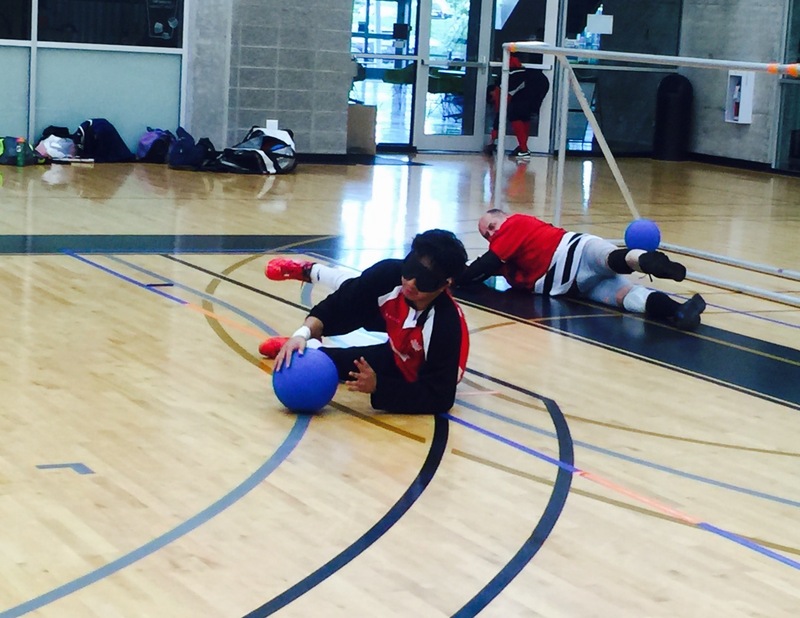 Goalball has been an official Paralympic sport since 1980. 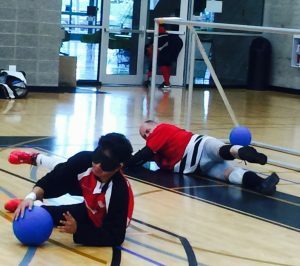 Where can I see goalball up close in the Vancouver area? 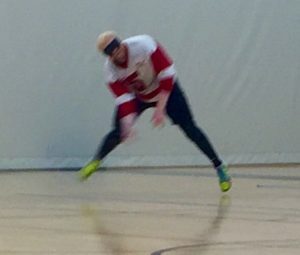 Vancouver Goalball Club, which includes Canadian National Goalball team members that are going to the Paralympics (amazing!! ), practices here in Vancouver. Our club Vision Health Volunteers is courting the idea of asking VGC to do a demo on UBC Campus so if you’re interested and send me an email, this will be more likely to happen. I’m interested in volunteering. What can I do? 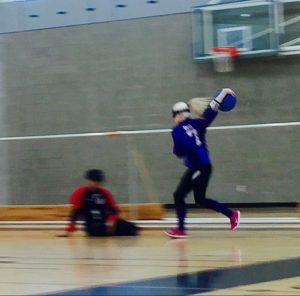 Be a goal judge, ball retriever, game timers, high-ball judge, help set-up and take down the court for the Vancouver Goalball Club. Practices are usually in the evening. 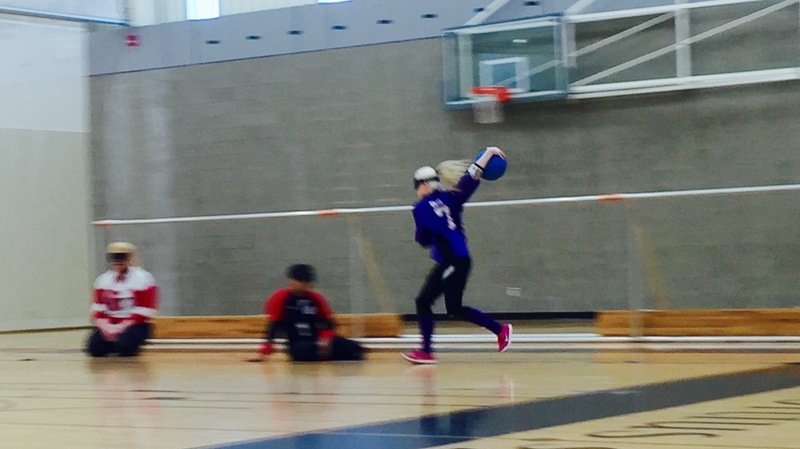 Thank you to John Tee for getting me interested in goalball! 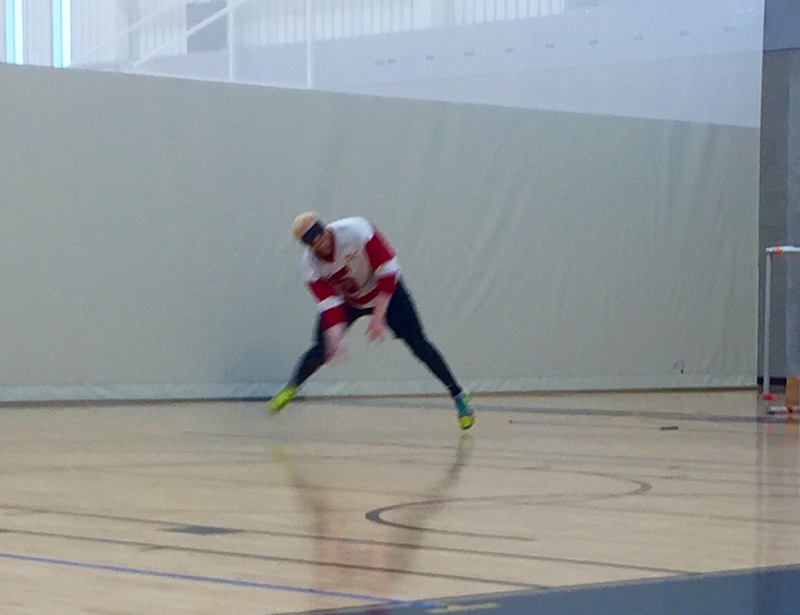 John plays for the Canadian National Goalball team. I befriended John volunteering at an outdoors camp for children that are blind and visually impaired and ever since he’s introduced me to different blind sports.